Also known as Tie Guan Yin or Tieguanyin, this traditional Chinese oolong has a higher oxidation than the more popular Taiwanese oolongs, giving it a more medium-bodied finish with flavors of dried fruit and sweet finish. 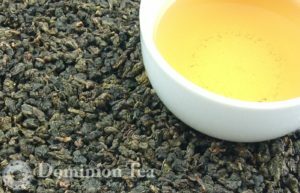 For a trip back in time to the first creations of oolong, Ti Kuan Yin is the tea to drink. 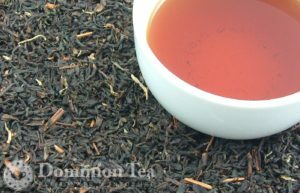 Vanilla Yunnan Organic flavored black tea is a delicious vanilla tea made from a Chinese black tea from Yunnan Province plus vanilla bean chunks. Delicious both hot and cold. Nam Lanh Estate OP black tea offers a malty taste with light astringency and acidity. Produced in Northern Vietnam, the infused liquor is clear and bright with a bold copper color. 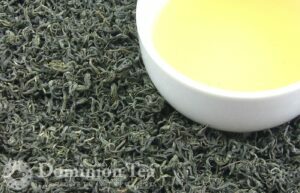 Vietnamese Green is a very fragrant connoisseur green tea. 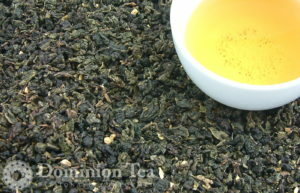 Beautiful large leaf from Vietnam with complex vegetal notes.